There’s a place at the table for you here. Even if you have no particular place to go, our air-conditioned library is a great place to come and get out of the humidity for a while. Read the paper, browse the web, peek at a book and find a DVD for later. Have kids to entertain? The library has a ton of picture books. easy readers and stories that even reluctant readers can find gripping. Older kids are welcome to use our wifi network and PCs, as long as that’s ok with you. Traveling during the summer? The library has tour guides you can consult, plus pocket books, CDs, ebooks or a Kindle for your trip. No library card? 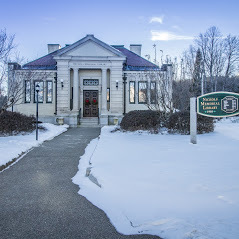 The Nichols Library registers residents and non-residents alike. We just require some proof of address. And since new books, CDs and DVDs materials are coming every week, there is always something fresh to take a look at.